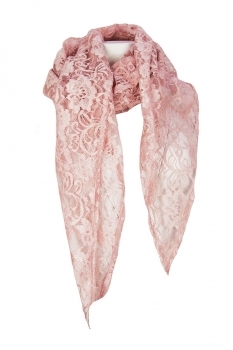 Barbara Bologna Lace Granny Foulard (Scarf). Lace scarf in pink. Diamond shaped with stylised flower designs. Designed to go with the pink, tartan mohair jacket and skirt.